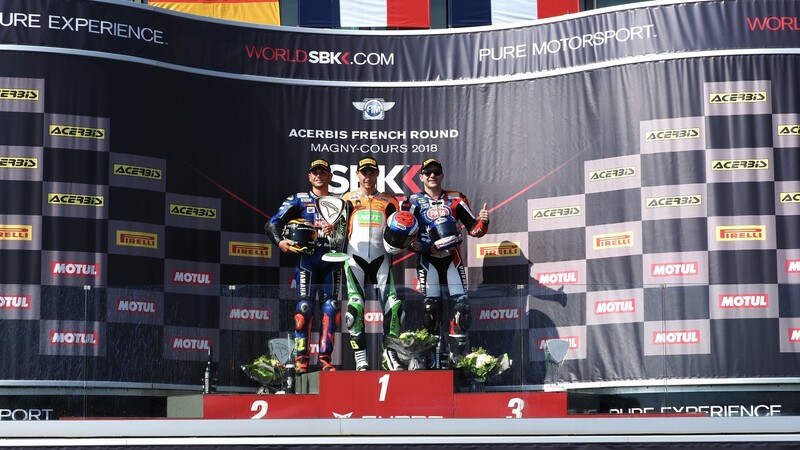 Jules Cluzel (NRT) secured his fourth win of the season at the Circuit de Nevers Magny-Cours as the Frenchman took a controlling victory to beat Championship rival and second place Sandro Cortese (Kallio Racing) at the ACERBIS French Round, with fellow countryman Lucas Mahias (GRT Yamaha Official WorldSSP Team) third on the rostrum as teammate and pole man Federico Caricasulo crashed out on the final lap. It was Mahias who grabbed the holeshot as the lights went out from second on the grid as he and Cluzel made it an immediate French 1-2 at the front, before the latter took the lead heading into Turn 5 on the opening lap. Further back, Championship leader Cortese didn’t get off to the best start but the German rider soon found his rhythm to reel in the leaders a couple of laps later, making his way up to P2 after consecutive passes on Mahias and Caricasulo at the Adelaide hairpin. 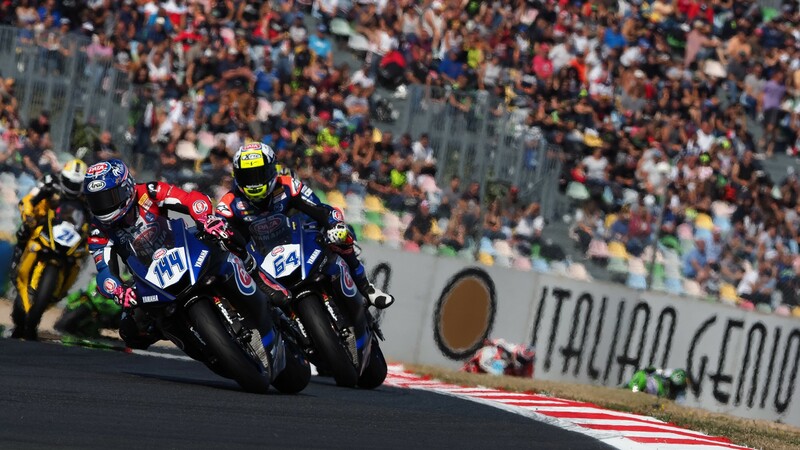 The four leaders had broken clear from home rider Corentin Perolari (GMT94 Yamaha) at the mid-stage of the race, with Cluzel still holding P1 from Cortese before the 2012 Moto3™ World Champion made a move down into Turn 5. The Kallio Racing rider couldn’t make it stick though, but that didn’t stop the German trying it again a lap later, but the same happened – Cluzel getting the better exit to hold station. It was rinse and repeat for the duo a lap later as the two leaders in the Championship brilliantly fought for French honours. Heading into the final lap, Cluzel had managed to get his head down to edge out a 0.7 advantage at the front, with Cortese suffering from front tyre wear which left him firmly in the clutches of the two GRT bikes behind. Then, late drama surfaced. Fourth place Mahias went for a pass into Turn 14 on teammate Caricasulo, the latter running a slightly wider line and losing the front trying to defend his position – hugely detrimental for the Italian’s title aspirations, who remounted to claim P13. 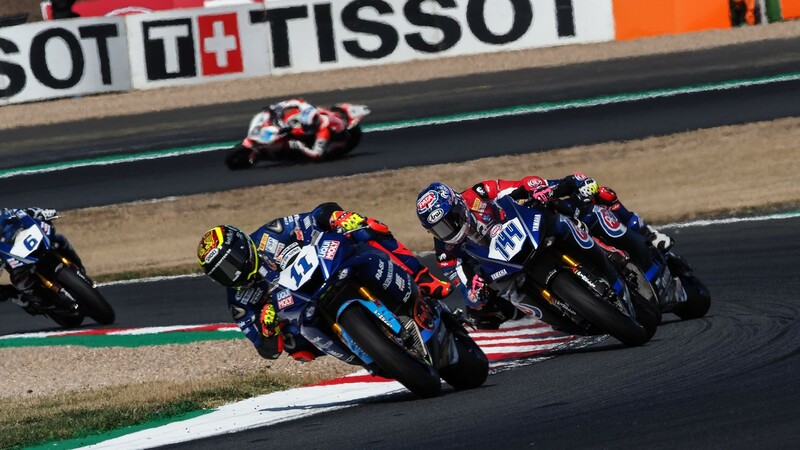 This left Cluzel to claim his fourth win of the season as the gap in the Championship between him and first place Cortese now stands at 11 points with two races remaining – Mahias claimed a home podium, his first since Thailand. 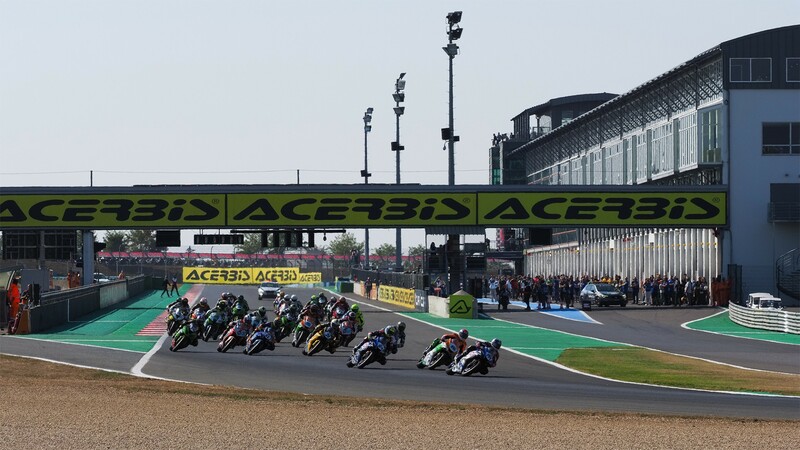 Thomas Gradinger (NRT) was fourth as he continues to impress in his rookie WorldSSP season, with Randy Krummenacher (BARDAHL Evan Bros. WorldSSP Team) completing the top five after a difficult race. Sixth was home rider Perolari, a great race for the Frenchman after battling with the leaders in the opening exchanges, with Raffaele De Rosa (MV Agusta Reparto Corse by Vamag) crossing the line seventh – the Italian losing ground in the Championship. 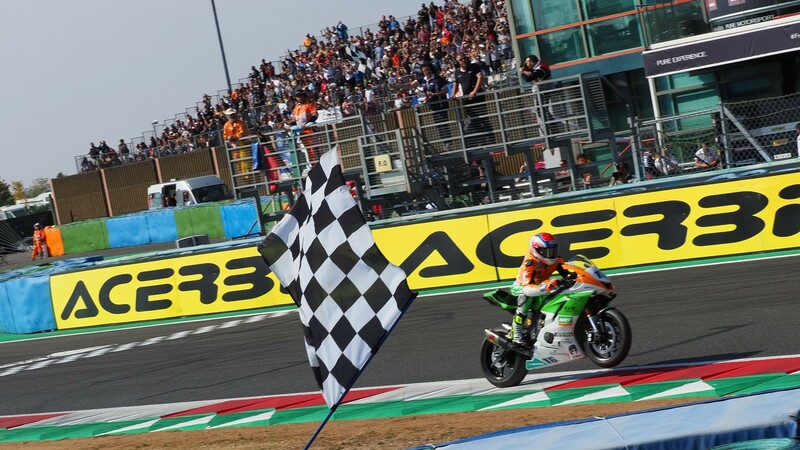 After his podium in Portugal, Kyle Smith (CIA Landlord Insurance Honda) could only manage eighth in France, with Hikari Okubo (Kawasaki Puccetti Racing) getting the better of teammate Hector Barbera – P9 and P10 respectively for the Kawasaki paring. 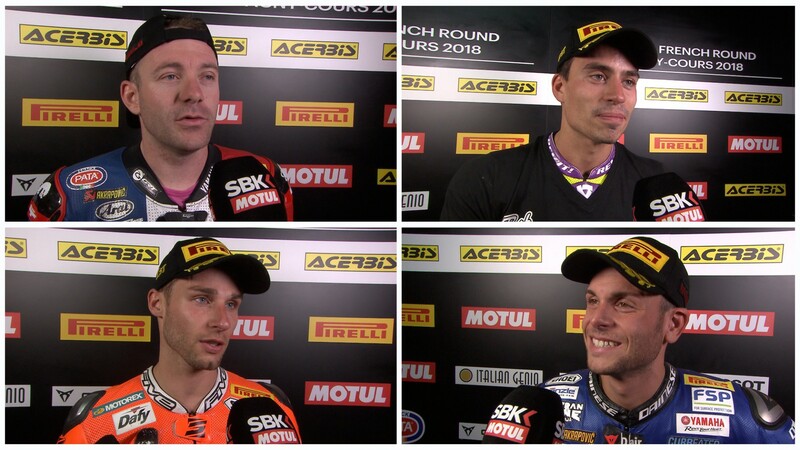 The title race remains tight as the paddock heads off to Argentina for a brand-new challenge – who will emerge victorious as Cortese and Cluzel go head-to-head once again. Don’t miss any of what promises to be an electrifying end to the season in the WorldSSP class with the WorldSBK VideoPass.